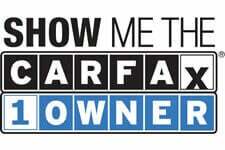 CARFAX CERTIFIED 1 ORIGINAL OWNER! *** CARFAX 1-OWNER VEHICLE! ORIGINAL MSRP OF $29,495! THIS ABARTH IS LOADED WITH OPTIONS AND HAS BEEN MAINTAINED BY ONE OWNER SINCE BRAND NEW IN SUNNY SALT FREE TEXAS! ORIGINAL WINDOW STICKER INCLUDED!